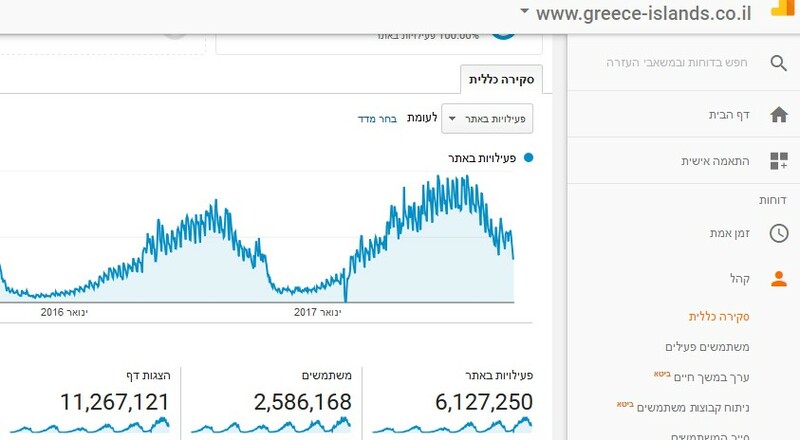 We provide to more than 3 million visitors in our sites in israel each year. The most beautiful places in Greece, the best Hotels and Resorts, the hottest attractions & The best ground services in greece, our website "greece-islands.co.il" is the biggest web site in israel about travel and vacation to greece [mainland] & the islands. 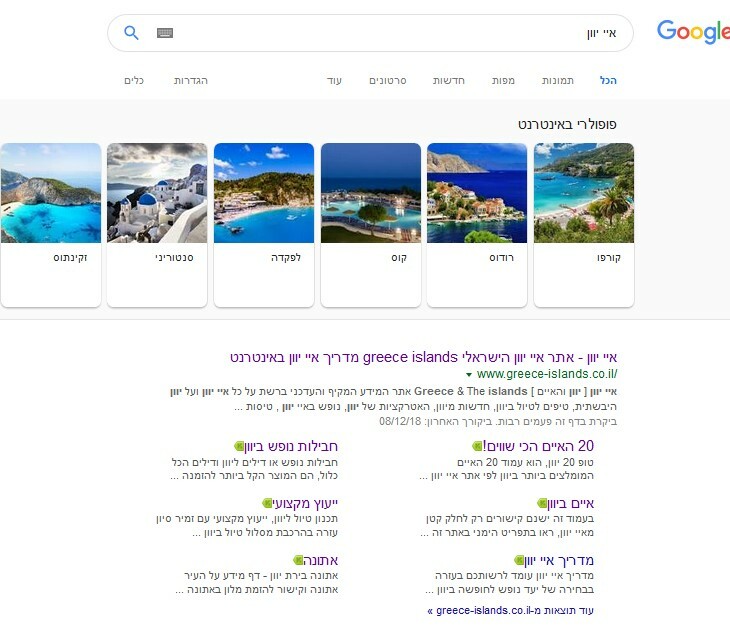 greece-islands.co.il - Is the most popular Web site in Israel about vacation in Greece, the site is located in highest positions in goolge search and more than 90% israelis who departed from Israel to Greece visit this site at some point during the time the planing vacation or trip to greece.